OCEAN FRONT! Two Houses for the Price of One! Main House (2525 SF & Built in '96) comes with Sweet Views of the Pacific Ocean & Beaches from the top floors~ 4 bed/2.5 baths~ 2 Propane Fireplaces~ Spacious Kitchen~ Huge Master Suite~ New Roof~ Fresh Paint~ 773 SF of Outdoor Decking~ Utility Room & More! Guest House (1544 SF & Built in '01) has 2 beds/1.75 baths~ Fireplace~ Full-size Kitchen. Total of 1468 SF in the Garages! Both Homes are in Excellent Condition, Move-in Ready & Priced to Sell! Directions:From the Shilo, S on OS Blvd, R on Polaris, L on Sand Dune to house on your right. SchoolsClick map icons below to view information for schools near 311 Sand Dune Ave SW Ocean Shores, WA 98569. Ocean Shores Real Estate at 311 Sand Dune Ave Sw Ocean Shores, WA 98569. Description: The real estate listing at 311 Sand Dune Ave Sw Ocean Shores, WA 98569 with the MLS# 1396674 has been on the Ocean Shores market for 112 days. 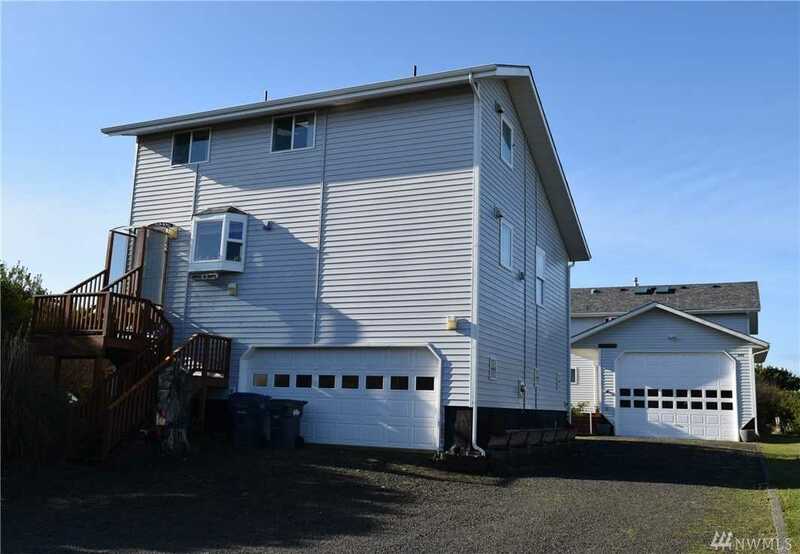 This property located in the Ocean Shores subdivision is currently listed for $433,000. You are currently viewing the property details of the NWMLS listing at 311 Sand Dune Ave Sw Ocean Shores, WA 98569, which features 4 bedrooms and 3 bathrooms, and has approximately 4069 sq.ft. of living area.